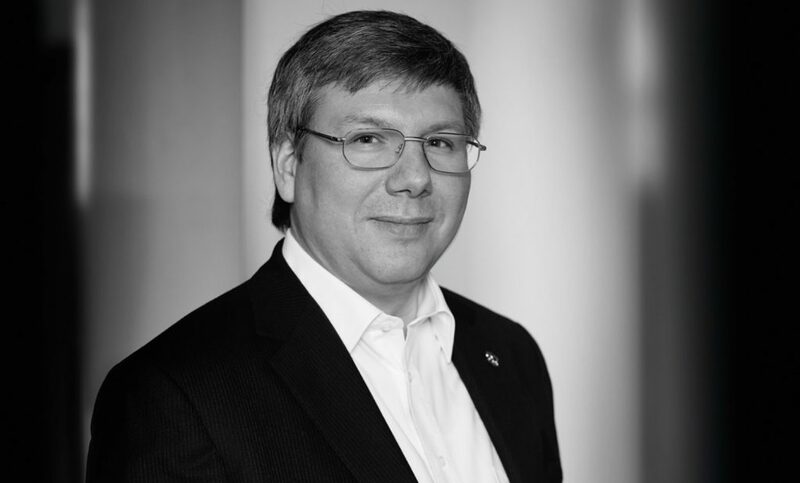 Andreas Strehler, a brief introduction. It is a far from uncommon phenomenon to learn that many of our favourite artist’s greatest hits which first made us love them so much, were actually written by someone we’d maybe never heard of before. This discovery doesn’t detract from the song or artist, and in fact, might make us aware of an archive of material from the same songwriter we never knew existed. 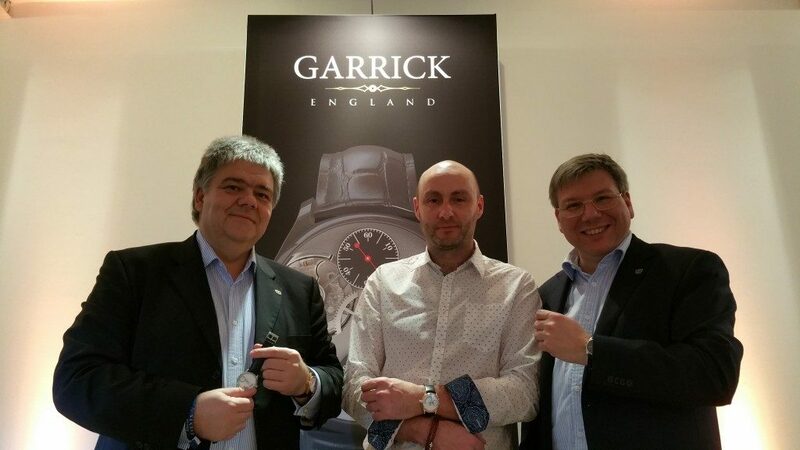 In a very similar fashion, many of the watch industry’s most revered marques – and their reputations – have benefitted significantly thanks to the magic touch from a very special outside talent, whose know-how can get an unruly ensemble singing in perfect harmony. 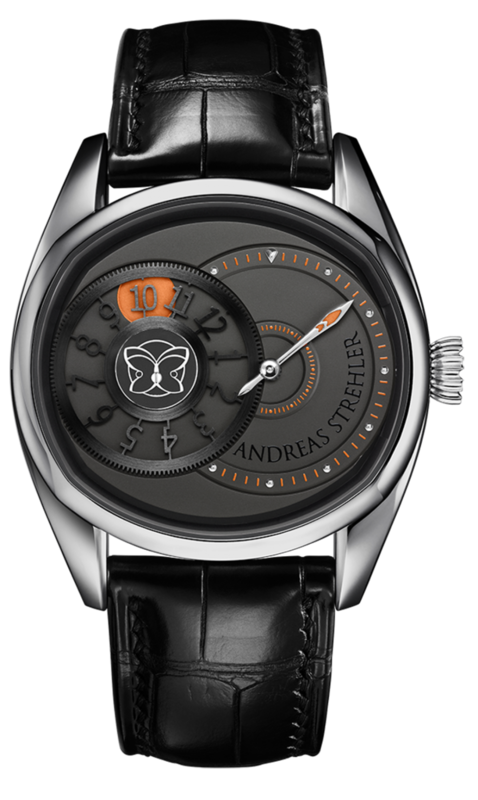 Talent like Andreas Strehler, a man whose career has thus far largely been out of the spotlight, but whose mastery in high complications watchmaking beats within many famous timepieces. Andreas Strehler was born in 1971 in the Swiss town of Winterthur where, even as a lad, his natural curiosity of how things worked brought to the surface a talent for ‘investigating’ the mechanics of toys, tools, electronics and even on occasion one of his father’s watches, a trust earned by also being able to put things back together again to perfection. His boyhood obsession never waned, and by twenty-five, this prodigy would have his own atelier and an already established reputation for excellence and innovation in watchmaking. Immediately on leaving school young Strehler enrolled in the Watchmaking School of Solothurn and began his apprenticeship in Frauenfeld. 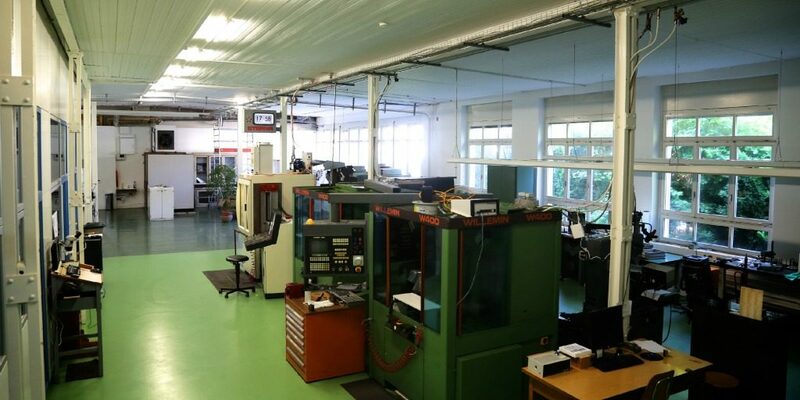 Such was his obvious oneness with his passion that by the time he graduated in 1991, his first ‘proper’ job was as head of prototyping at Renaud & Papi, at the time a small movement manufacturer based in Le Locle which specialised in fine complications, and which has since gone on to be acquired by Audemars Piguet. Here Andreas would spend four enormously educational years as he further refined his talent and where he could indulge his quest for horological innovation. He had also paid attention and learned much about how the Swiss watch industry functioned, and in 1995 with his name by now well known within the technical circles, he established his own workshop, and began his entrepreneurial career as a restorer of fine antique wristwatches, whilst working on his own introductory creation, a fascinating perpetual calendar desk clock with detachable pocket watch which he would debut at Baselworld 1998. 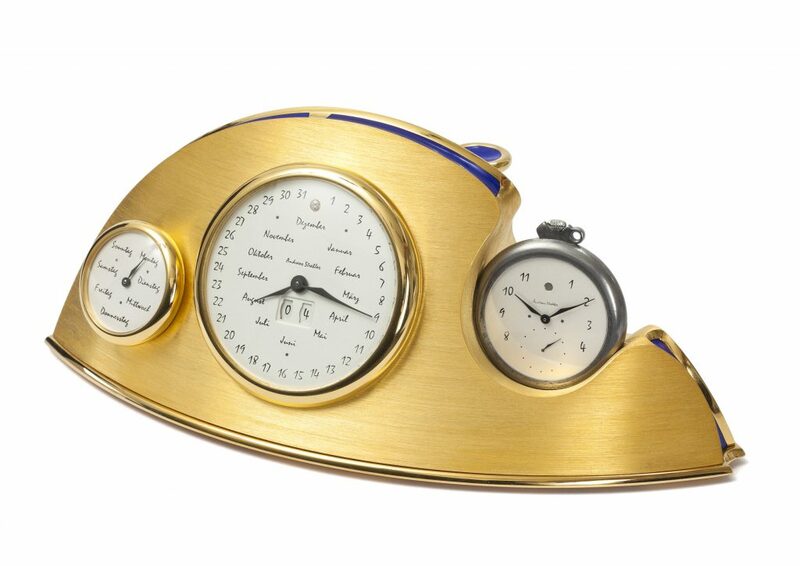 The simply ingenious ability of his clock, which would cease operating once the watch element was removed and then synchronising again when remounted, did not go unnoticed by the leading independent master watchmakers at the time, and by 2000 Andreas was announced as the youngest invitee member of the guild of master watchmakers, the AHCI. 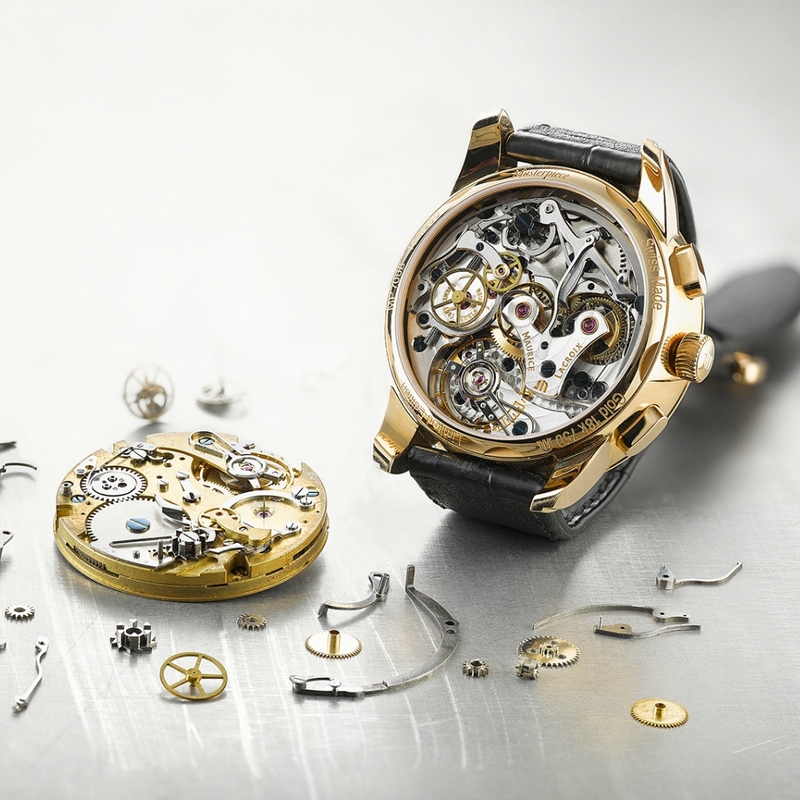 The early years of the new millennium witnessed an explosive growth in global awareness of these often modest independent watchmakers, and with it a demand for their bespoke masterpieces. Strehler’s notoriety continued to escalate, and as well as creating very rare commissioned pieces for those connoisseurs in the know, he also made his knowledge and abilities available to well known Swiss watch companies as a consultant and technical facilitator. His repertoire of clients were a happy lot. Scooping major industry awards for his contributions for the newly revived H. Moser & Cie and Chronoswiss as well as collaborating on the famous Harry Winston Opus 7, the Chapter Three Reveal by Maîtres du Temps and overseeing the design and production of Maurice Lacroix first manufacture movement. Behind a quiet and modest demeanour lies an astute entrepreneur, and with so many ideas and concepts for unthinkable complications flowing onto sketch pads and beyond, Strehler separated his consultancy and his watchmaking, creating UhrTeil technical outsourcing for his clients, and enabling his eponymous Andreas Strehler marque to spread its wings. Although by now he had been making watches for some time, under his own brand Andreas Strehler the man finally began to emerge from behind the scenes where he had previously been so influential, and in 2008 his gorgeous new Papillon stunned industry observers with its exquisite mechanical array beating beneath the outline of a butterfly’s wings, as if it were a living, breathing organism. A hugely bold and confident debut, Papillon pushed the watchmaker’s prodigious talents to the fore, and with quite literally no dial and no hands, the time was read via two sapphire discs with static pointers. 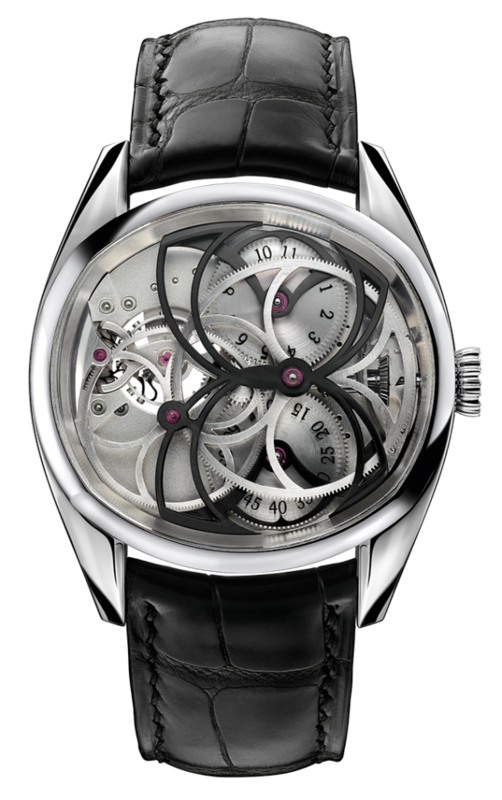 The complexity of Papillon’s design and execution and the standard of finishing were, for want of a better word, astonishing, and yet rather than being a flamboyant entrée it served to lock in place certain attributes, including the distinctive off-round case profile, which would become signature Strehler traits, reappearing frequently on his subsequent masterpieces. Four years after Papillon had established a solid footing for the Andreas Strehler collection, his 2012 Cocon, this time, shifted the focus on to functionality, with the butterfly mechanicals of its completely new calibre cocooned behind a beautiful, partially open worked but mostly covering guiloché dial. And hands. Cocon’s arrival also marked a period of intense creative output for Andreas which would amaze the watch world, and indeed even gain entry into the Guinness World Records books. With a scientific mind and a notebook brim full of norm-defying innovations, the Strehler atelier began a continuous succession of exquisitely manufactured horological masterpieces, each one boasting a new and bespoke calibre, designed and created from scratch under one roof. The 2013 Sauterelle featured jumping deadbeat seconds and the remontoir d’égalité, an inspired modular technical interface between the geartrain and the escapement which eliminates any fall-off in accuracy as the mainspring nears the end of its reserve, regulating energy and delivering in its steady one-second cycle that elusive watchmaking grail that is constant force. 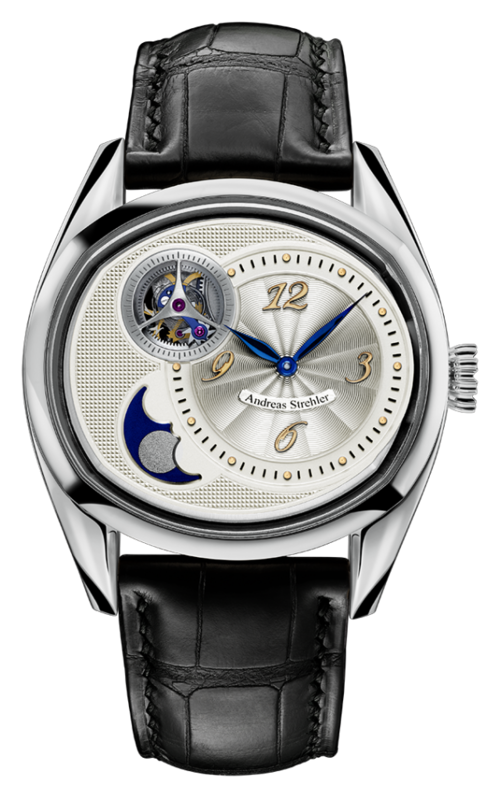 Embracing the conundrum of the moon and setting himself the target of horology’s most precise moonphase solution – ever, the Sauterelle à lune perpetuelle put Andreas into the Guinness World Record book, not once but twice as he dislodged himself with the Sauterelle à lune perpetuelle ‘2M’ which would require adjustment of just one day every two million years! Ever observant, Strehler had noticed how the moon, in reality, passed slowly across the night sky and not quite how horology had most commonly translated it, moving through only one position daily. Zooming in on and animating this endless transit throughout the day, and throughout the complete lunar cycle, the Lune Exacte took the record-setting moonphase off into a whole new tangent, and complemented with pared back dial revealing a truly absorbing array of micro mechanics, and the fabulous paw-like bridge arrangement. Strehler’s Time Shadow takes a step in a more contemporary direction and brings together the hours, highlighted above an orange spot, on a toothed sapphire gear wheel as used on the Papillon, with minutes off centre, set against a matte black dial with orange detail is a digital regulator with a streak of flamboyancy. A young brand still but well into its stride, each new model is now eagerly anticipated by connoisseurs, critics and indeed by his group of watchmaking peers. 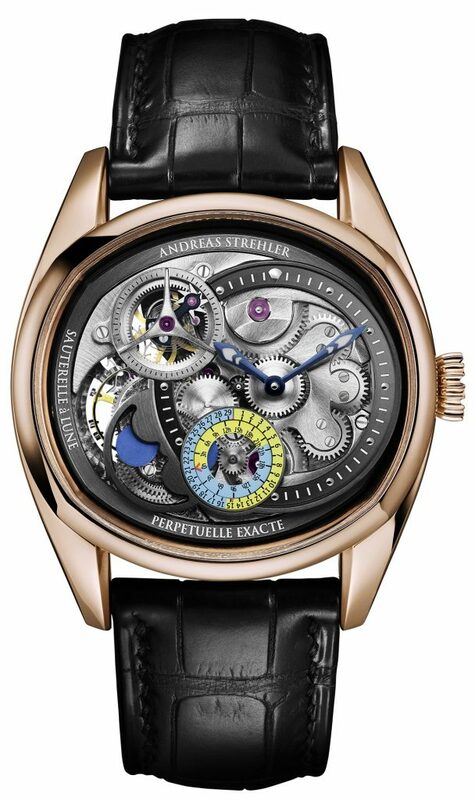 Andreas Strehler has achieved what few have been able to do; through his absolute commitment to his world of micro-engineering, an obsession with perfection and his unstoppable quest to innovate, he has quietly edged his way up the ranks of the world’s finest watchmakers to join the very elite of his profession and the cherished Gaïa award for his contribution to creative independent watchmaking. For a number of years we have worked in a close mutual collaboration with Andreas, and we are delighted to have his unique perspective and systematic approach to movements and complications design as part of our team.